296 pages, with 600 photos. Color photos of many of Garrison's rod models. A color photo of Everett Garrison tipped-in near the title page. Full cloth two-toned binding, with a cloth slipcase. 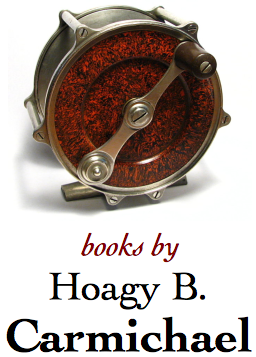 Signed by co-author, Hoagy B. Carmichael. 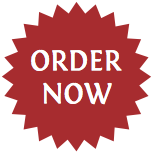 he seventh edition of A Master's Guide to Building a Bamboo Fly Rod is now available. This 296-paged book, considered by many to be the "Bible" of the rod building texts, explains in detail the step-by-step procedures used by the great American home-builder, Everett Garrison, developed by him over fifty years. The book starts with the raw bamboo, and works it way through the process, using over six hundred photos, until the rod is finished. There is a unique chapter that explains how Mr. Garrison developed the pleasing, yet powerful tapers that are so widely used today using his understanding of engineering principles. 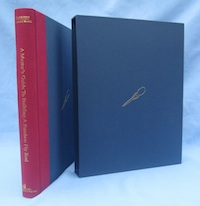 This edition is bound in full two-toned cloth, with a cloth slipcase. There are color photos of many of Garrison���s rod models included in this revised edition (1998), as well as a tipped-in color photo of the great rod maker near the title page.